May | 2012 | Paul's Voyage of Discovery & Etc. 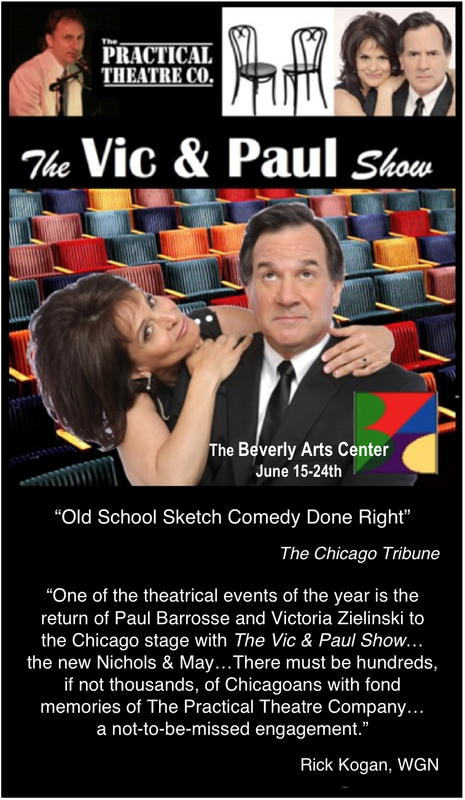 With a little more than two weeks before “The Vic & Paul Show” opens at The Beverly Arts Center in Chicago, Victoria spoke to her hometown neighborhood newspaper, The Beverly Review. 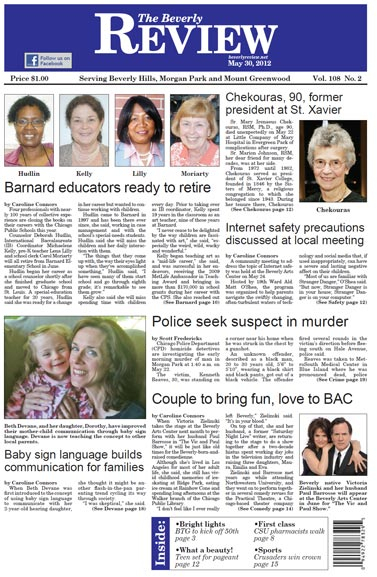 Published as part of the May 30, 2012 edition. 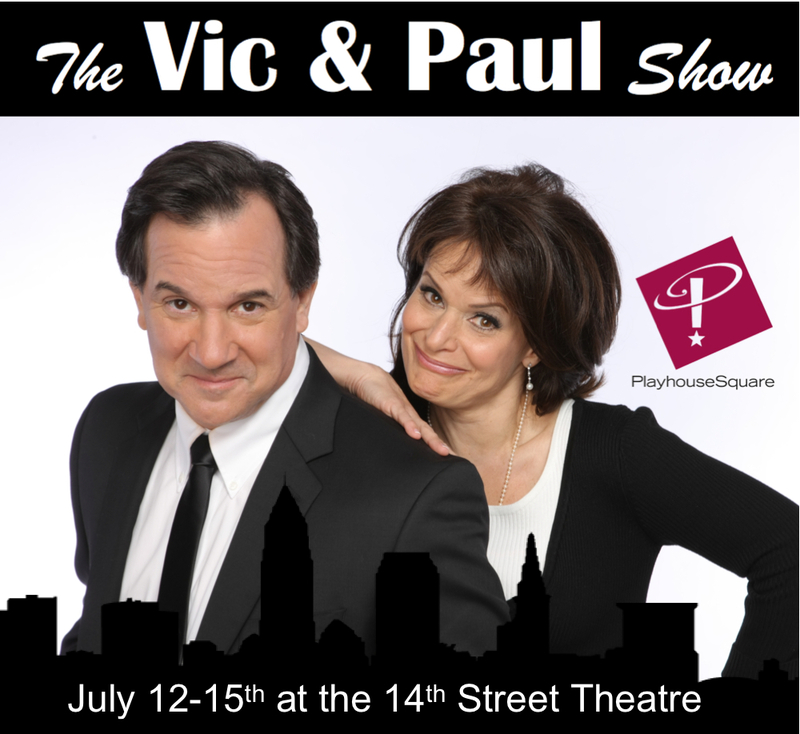 When Victoria Zielinski takes the stage at the Beverly Arts Center next month to perform with her husband Paul Barrosse in “The Vic and Paul Show,” it will be just like old times for the Beverly-born-and raised comedienne. Although she’s lived in Los Angeles for most of her adult life, she said, she still has vivid childhood memories of ice skating at Ridge Park, eating ice cream at Rainbow Cone and spending long afternoons at the Walker branch of the Chicago Public Library. 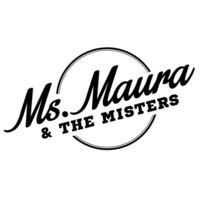 On top of that, she and her husband, a former “Saturday Night Live” writer, are returning to the stage to do a show together after a two-decade hiatus spent working day jobs in the television industry and raising three daughters, Maura, Emilia and Eva. 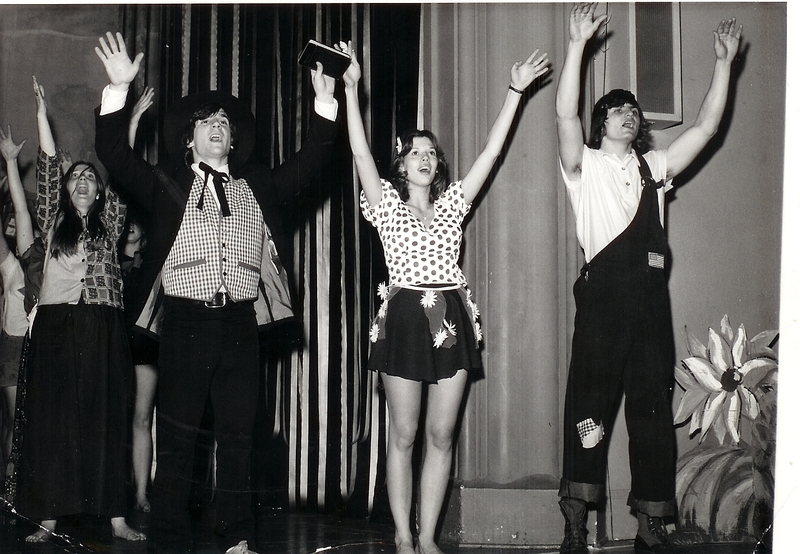 Zielinski and Barrosse met years ago while attending Northwestern University, and they went on to perform together in several comedy revues for the Practical Theatre, a Chicago- based theater company that was active throughout the 1980s. They married in 1990, started a family and “haven’t been out of the house since,” Zielinski said. Now that their “baby” is 16, the couple is resurrecting the creative spark that drew them together for the first time. “Paul looked at me over Thanksgiving dinner a couple of years ago and said, ‘We’re either Vic and Paul who created comedy together, or we’re not,’” Zielinski said. So the couple decided to pick up where they left off, creating a show that touches on the wacky world of marriage, child rearing and middle age. 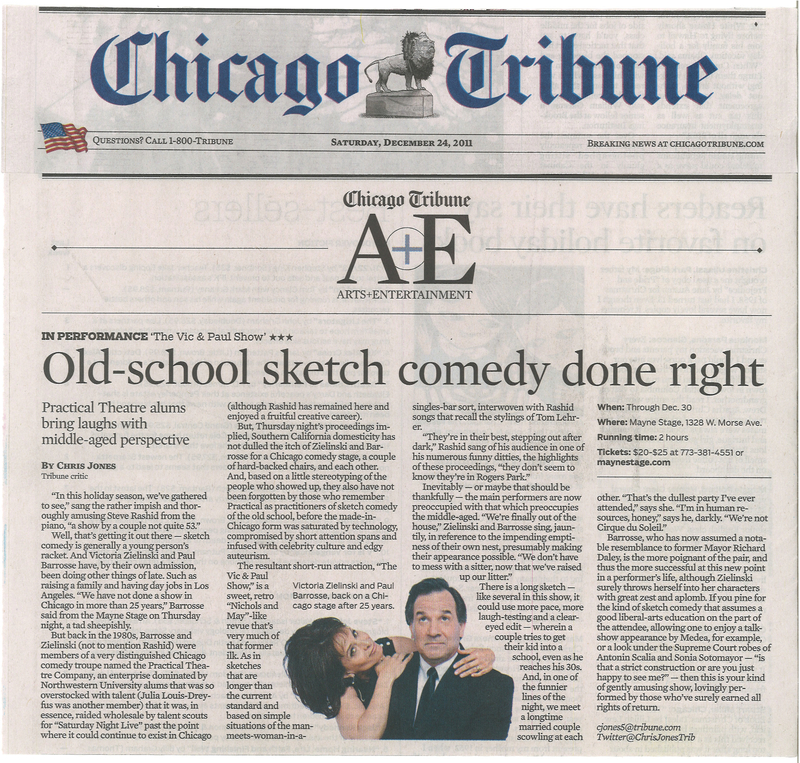 They spent five months creating the show at the kitchen table after work, drinking martinis and improvising just like they had done in their 20s. 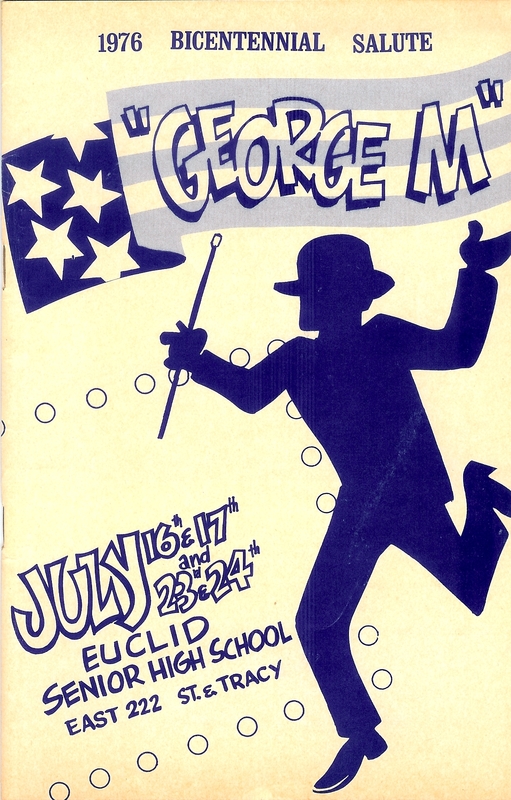 The show opened in Los Angeles in 2010 and played at the Mayne Stage Theater in Rogers Park in December 2011, drawing a diverse audience with its “slightly edgy” mix of music and sketch comedy laced with references to modern-day politics and tinged with a slightly vintage undertone. A graduate of Kellogg Elementary School and Luther South High School, Zielinksi earned her bachelor’s, master’s and law degrees from Northwestern before devoting her career to comedy and improv. 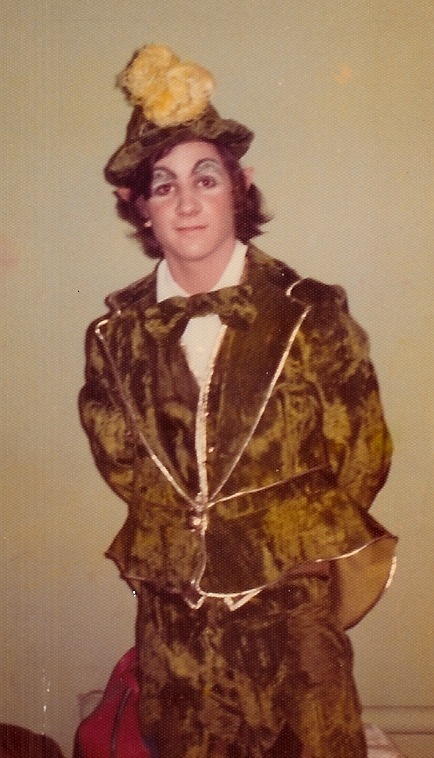 In addition to her roles in “Megafun,” “Art, Ruth & Trudy” and “Bozo Town” with the Practical Theatre, Zielinski has appeared in roles at the Goodman Theatre, the National Jewish Theatre, Court Theatre and as a member of the Willow Street Carnival, which sent her to Barcelona, Spain, to live and study with the renowned Spanish comedy troupe, Els Comediants. The couple moved to Los Angeles in the early ’90s to further their careers as television producers, Zielinski said, but Chicago will always be home. No matter whether she’s in Chicago or L.A., Zielinski is happy to be back on stage with Barrosse and celebrating the next phase of their marriage. 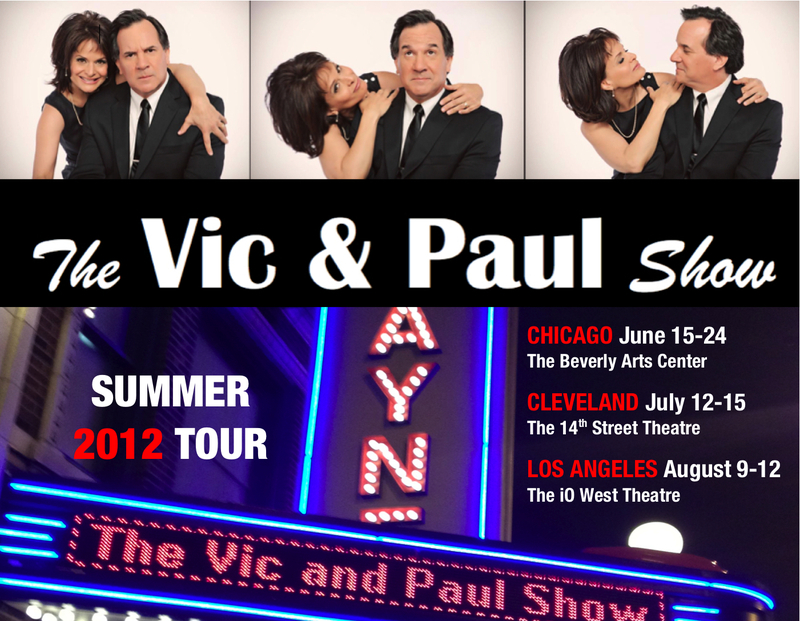 “The Vic and Paul Show” will appear at the BAC June 15-17 and June 21-24. Tickets are $22 for non-members and $20 for members and can be purchased by calling (773) 445-3838 or online at beverlyartcenter.org. 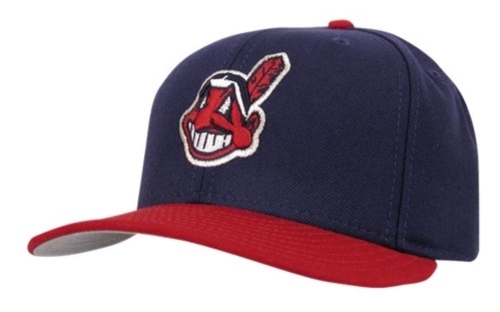 They’ve been doing it for nearly a decade now. 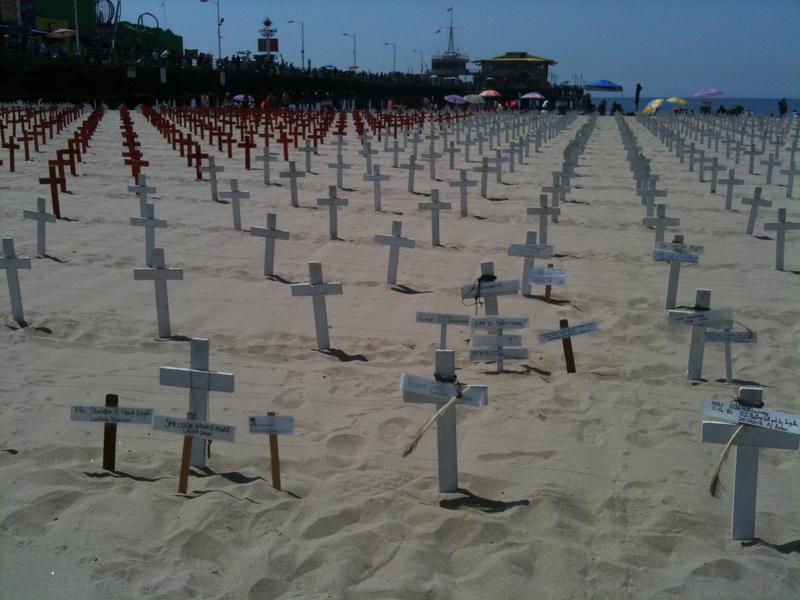 Every Sunday, from sunrise to sunset, a group called Veterans for Peace puts small white wooden crosses into the sand on the beach in Santa Monica, CA. 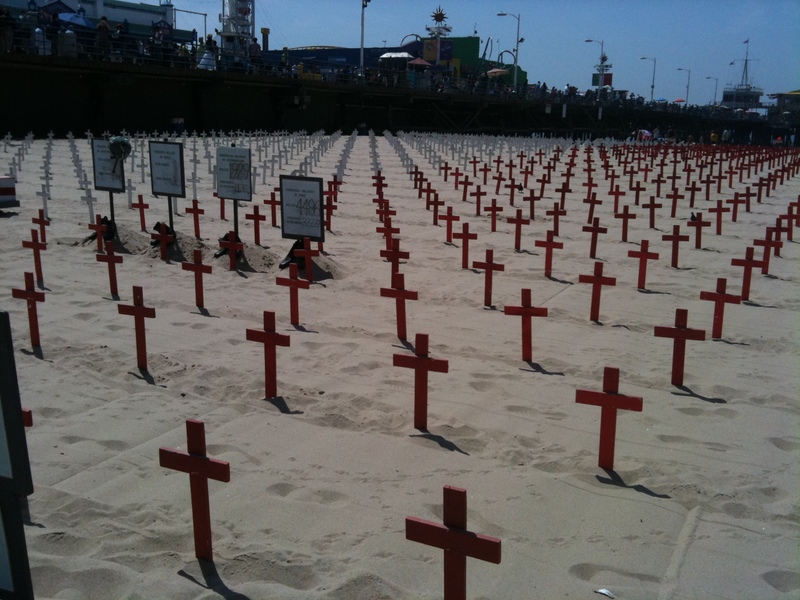 Each cross represents a soldier’s life lost in the wars in Iraq and Afghanistan. 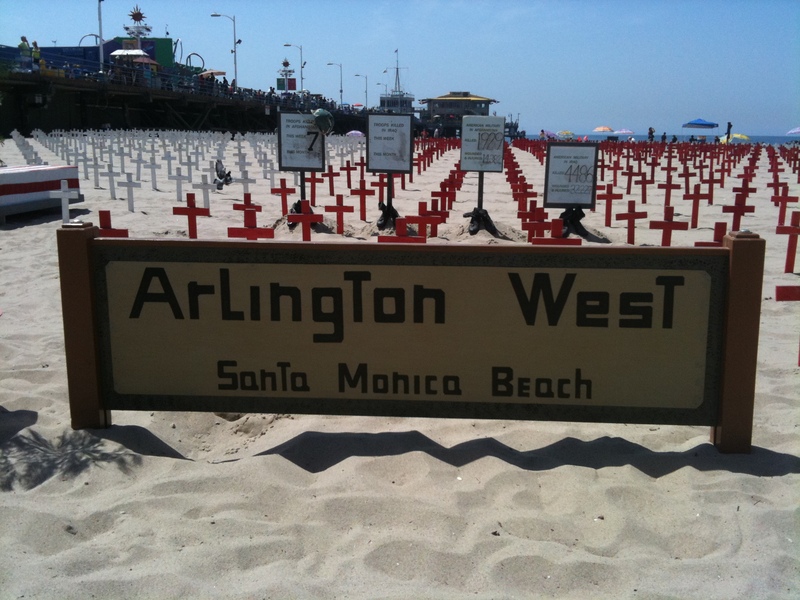 They call it Arlington West. 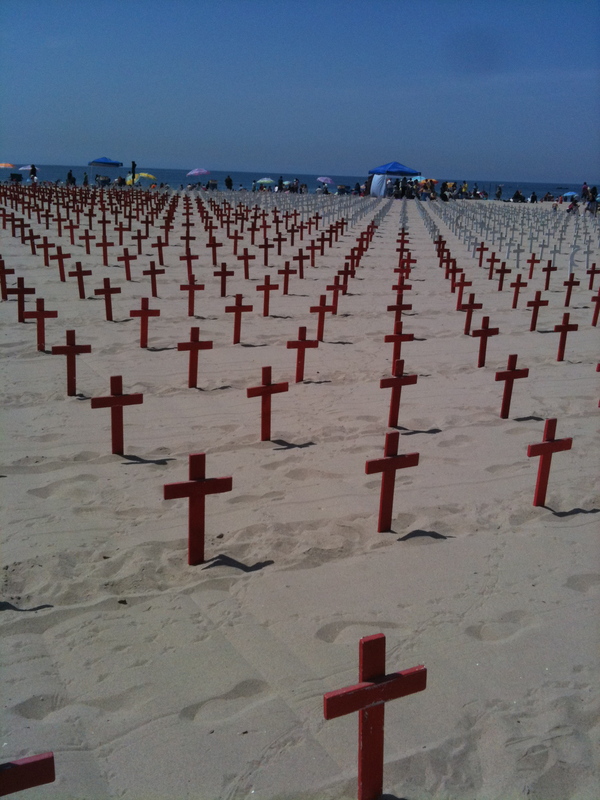 Years ago, when I first witnessed this solemn display, the crosses numbered in the hundreds. Today, there are crosses and Stars of David and Islamic crescents to represent the 6,447 fallen American servicemen who have given their lives in service to our county. 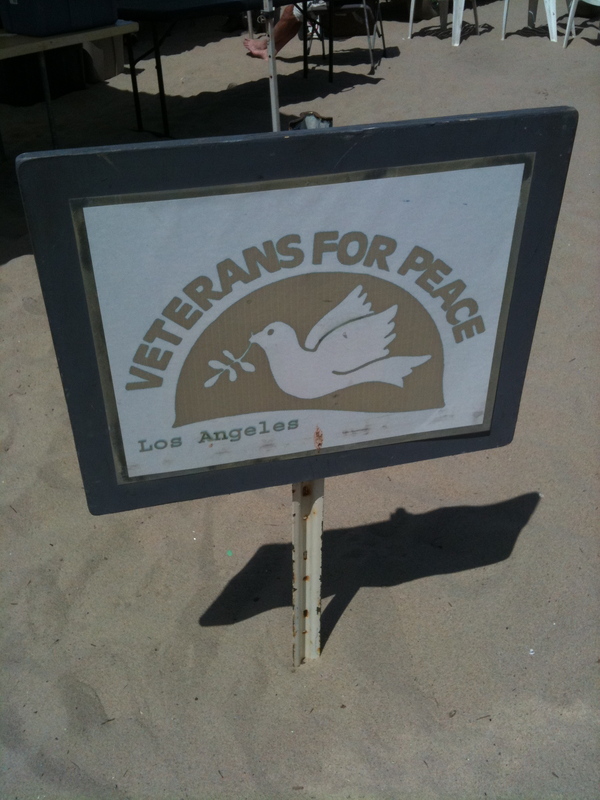 When the memorial began in 2003, Veterans for Peace would place one cross in the sand for each servicemen killed. 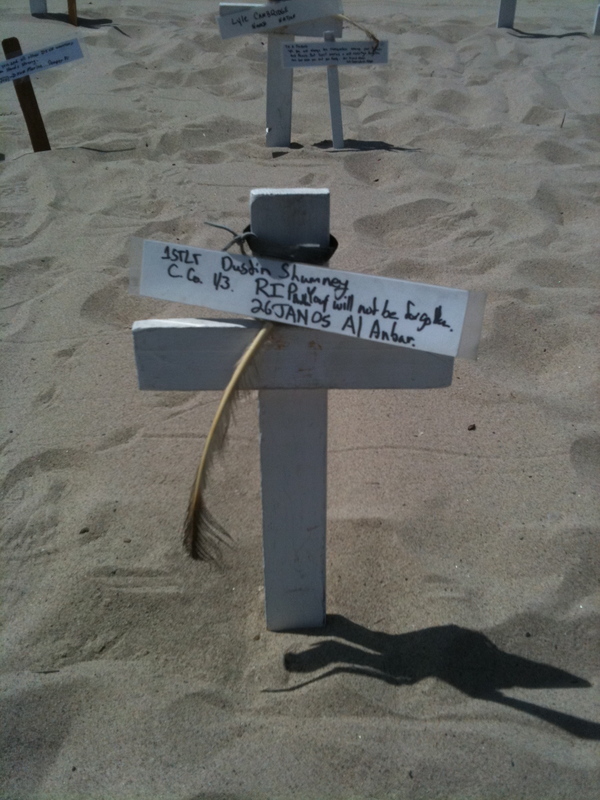 As the numbers of lives lost has grown over the years, there are now an inceasing number of red crosses — each representing 10 lost American soldiers, sailors, airmen and Marines. 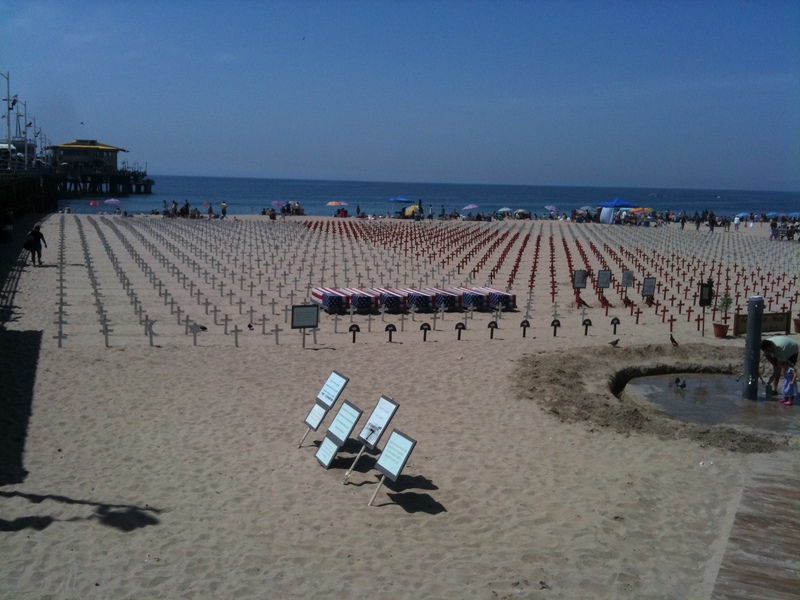 It’s an incongruous sight, this makeshift, ever-growing military memorial in the shadow of Santa Monica Pier and it’s bustling carnival atmosphere, surrounded by surfers, swimmers and other sun worshippers. 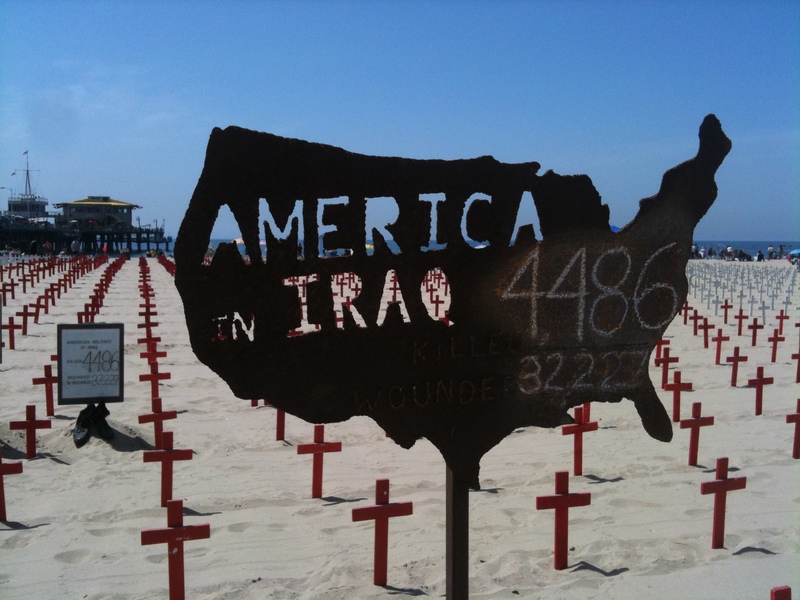 But it’s a necessary reminder of supreme sacrifices made on the other side of the world – far, far away from the pleasures of the Pier and the fun in the sun of Santa Monica Bay. And Arlington West does just that. 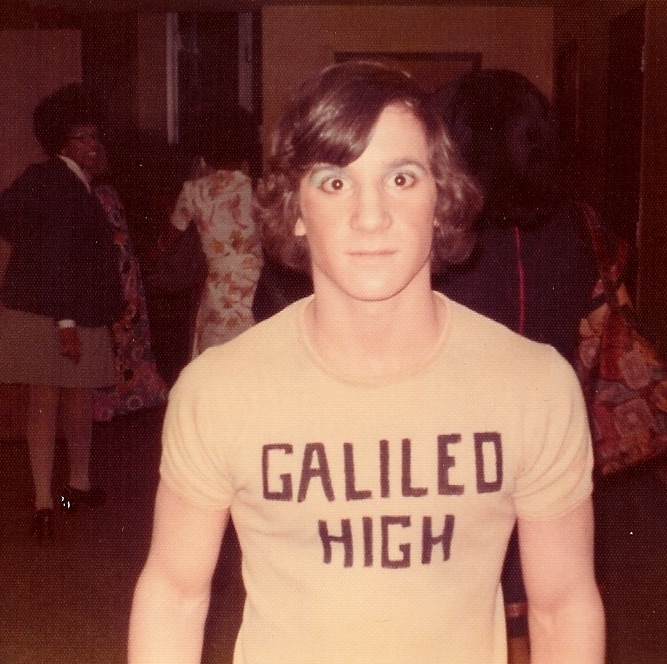 Take a moment to ponder the following photos. 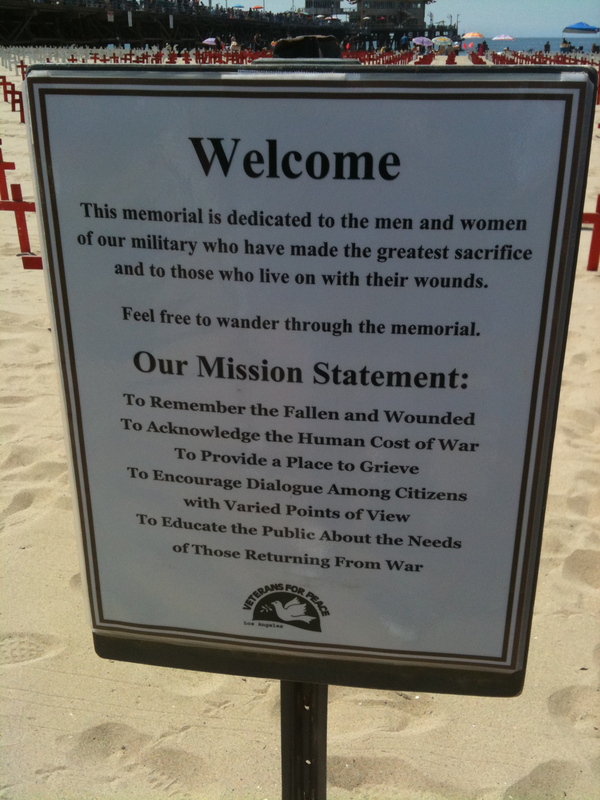 On this Memorial Day, pause to reflect at Arlington West.